The collapse in global commodity prices has had a significant but varied impact on African economies. 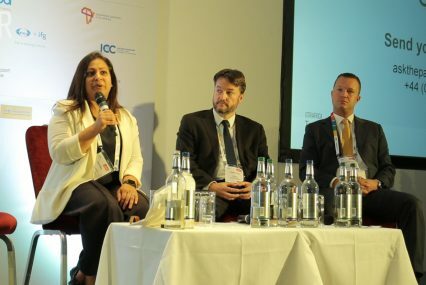 As such, the commodity slump was one of the key themes investigated by the opening speakers providing an economic outlook for Sub-Saharan Africa at the GTR Africa Trade & Infrastructure Finance Conference in London on October 5-6. “What we’ve seen in general is that the oil and mining economies have suffered and have to undergo a severe correction,” said Razia Khan, chief economist at Standard Chartered Bank. Yet, she added, other countries are “benefitting from what looks to be a boost to their economies”. Who are the winners and losers of lower commodity prices? And how can the commodity slump present an opportunity for some African countries? In the latest of the GTR video series, the three speakers – Razia Khan from Standard Chartered; Edward George, head of Ecobank UK and group research at Ecobank; and Robert Besseling, executive director at Exx Africa – give their take on Africa’s commodity crisis.